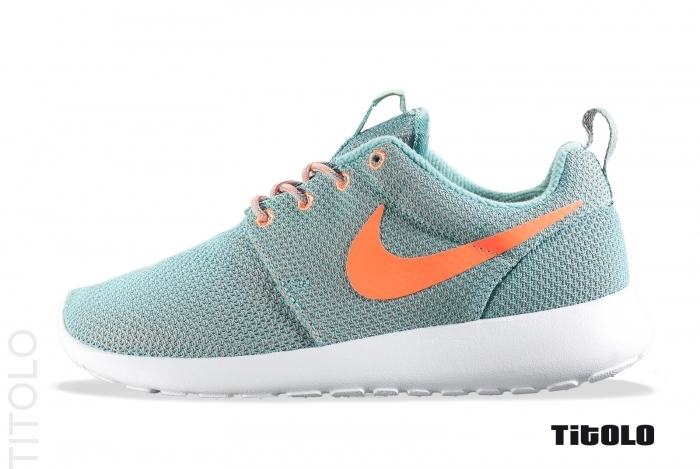 Yet another Roshe Run for the ladies is set to release next month, this time in a combination of diffused jade and atomic orange. NSW's new take on the Roshe sports a diffused jade lightweight mesh upper, working nicely with atomic orange over the Swosoh logos for an energized yet still subtle look. Down below, Nike Sportswear hit this women's exclusive with a lightweight Phylon sole in white. Look for these next month at authorized NSW accounts.